Joe Satriani Biography, Discography, Music News on 100 XR - The Net's #1 Rock Station!!! Unquestionably one of guitar's most revered players worldwide, Joe Satriani was born in Westbury, New York USA, on July 15, 1956. As a child he grew up in a musical environment, each of his four older siblings played instruments; he himself took up piano and then drums. It was a Jimi Hendrix solo, though, that ignited his passion for guitar. At the age of fourteen he began teaching himself guitar and eventually stareted playing around Long Island at local clubs. After just four years, Satriani moved to California to pursue his musical career. He began teaching his guitar skills to others; some of Satriani's students who have risen to fame include Metallica's Kirk Hammett, Counting Crows' David Bryson, Third Eye Blind's Kevin Cadogan and more. 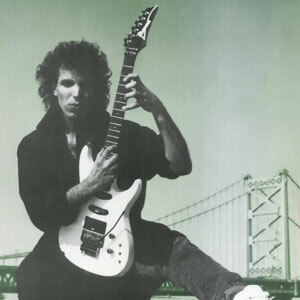 In addition to teaching, Joe Satriani -- AKA Satch -- began playing with a short-lived Pop-Rock band from San Francisco and later briefly joined Greg Kihn Band. In 1984 Satriani released his first solo record, an independent eponymous 5-song EP which was followed two years later by a full album entitled "Not Of This Earth", released on Relativity Records. Not long after Joe Satriani blasted into public consciousness with an entrance that was as unexpected as it was grand. In the fall of 1987 the guitarist issued "Surfing With The Alien", the disc peaked at #29 on The Billboard 200 becoming the first Rock guitar instrumental LP to enter the Top 40 since Jeff Beck's 1980 "There And Back". This album contained two Mainstream Rock top 40 hits: "Satch Boogie" and the title-track. For the past fifteen years he inhabited the crowded world of lesser-known Rock guitarists, honing his virtuosity away from the celebrity limelight, but with his second album he rose from the multitudes to a place where Jimi Hendrix, Eric Clapton, Eddie Van Halen and other guitar greats once stood. 1988 saw Satriani release "Dreaming #11", a min-album with three live tracks and one new studio track; it reached the #42 position on The Billboard 200 list and the previously unheard "The Crush Of Love", shot to #6 on The Mainstream Rock chart. That same year he toured with Mick Jagger. He recorded his third LP in the spring of 1989, during which time his father died. "Flying In A Blue Dream" was released in October 1989 and quickly ascended The Billboard 200 peaking at #23. Breaking his all-instrumental tradition for the first time, he croons on six songs including the bluesy, hard-rocking single "Big Bad Moon" which hit #17 on The Mainstream Rock chart; the follow-up single, "One Big Rush", matched its predecessor's #17 position on the same chart. The album contained two more Mainstream Rock top 40 hits: "Back To Shalla-Bal" and another non-instrumental song, the acoustic-tinged uplifting "I Believe". Satch's next offering, "The Extremist", arrived in July 1992 going straight to #22 on The Billboard Top 200 Albums chart. It spawned the chugging "Summer Song" which rose to #5 on The Mainstream Rock Tracks, instantly registering a career-best peak position; "Friends" hit #12 and the final single, "Cryin'", reached #24 on the same chart. "The Extremist" also became one of the artist's most successful album in Europe. "Time Machine", an excellent double-album by a genius of instrumental composition, was released in October 1993 and weighed in at #95 on The Billboard 200. Disc one reprints four songs from the 1984 Joe Satriani EP, while also showcasing nine new studio tracks including the Active Rock top 20 hit single "All Alone" and disc two is a collection of 14 of Satriani's best live performances. Around this time Satriani joined up with Deep Purple for a stint replacing Ritchie Blackmore, though when he was offered a permanent position with the band, he declined. 1995's eponymous album continued Joe Satriani's tradition of exploring new musical and compositional ground, another all-instrumental disc which promptly ascended into the top 50 of The Billboard 200 Sales listing and the single "(You're) My World" netted him a new Mainstream Rock top 30 hit. In March 1998, the Rock guitar messiah of the '90s, issued his sixth studio album, "Crystal Planet", which equaled the chart performance of its predecessor while the single "Ceremony" crawled up to #28 on The Mainstream Rock chart. Two years later, Satch once again surprised his legion of fans with a totally new sounds from his guitar on the Techno rythm oriented album "Engines Of Creation", another amazing addition to Satriani's canon of cutting-edge creativity. However it didn't rise higher than #90 on The Billboard 200. "Strange Beautiful Music" followed in June 2002 but this album made it only to the #140 niche on the U.S. chart. Joe Satriani's ninth album, "Is There Love In Space? ", was released two years later and debuted in the upper half of The Billboard 200. The subsequent record, 2006's "Super Colossal", found similar chart success. In the spring of 2008 Satriani issued "Professor Satchafunkilus And Musterion Of Rock", which debuted at #89 on The Billboard Top 200 Albums chart and eventully joined the critically lauded and commercially successful Rock supergroup Chickenfoot. 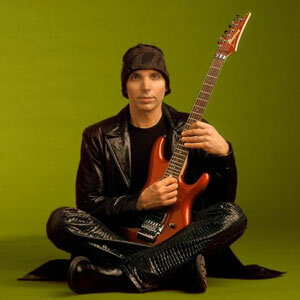 October 2010 saw Joe Satriani put out a new solo effort entitled "Black Swans And Wormhole Wizards"; preceded by the single "Light Years Away", the album peaked at #45 on The Billboard 200. He followed it up with "Unstoppable Momentum"; released in May 2013, also this album stopped just short of the top 40 of The Billboard 200 list.